Despite the score line, our final match of the season contained several reasons for celebration.The first of DCPS' goals came from a cruel rebound off one of our own players, near the goal mouth, whilst we were valiantly defending. The second of DCPS' goals was also the result of a cruel own goal! There were once again flashes of inspiration but not sustained enough to turn the match around. Bertie scored in the dying seconds of the game, which meant we were at least on the score sheet for our last game. Most improved of all was Alfie G, who made some highly creditable saves and was duly awarded Man of the Match! 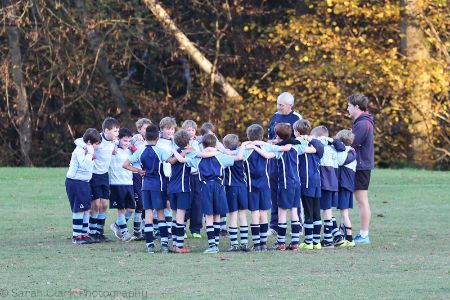 As the light fades on our last Football match, a new, hopeful dawn will surely break on our future Rugby matches!